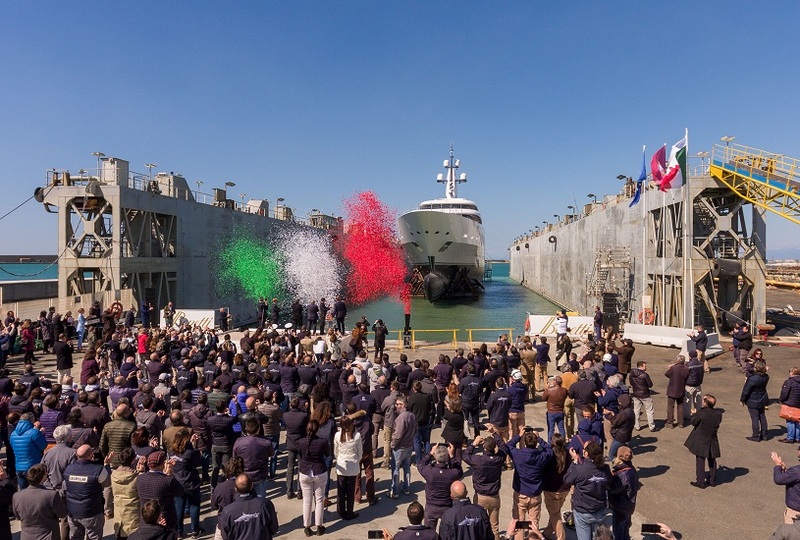 Benetti’s celebrates three 100-plus-metre vessels in 100 days with the launch of FB275. 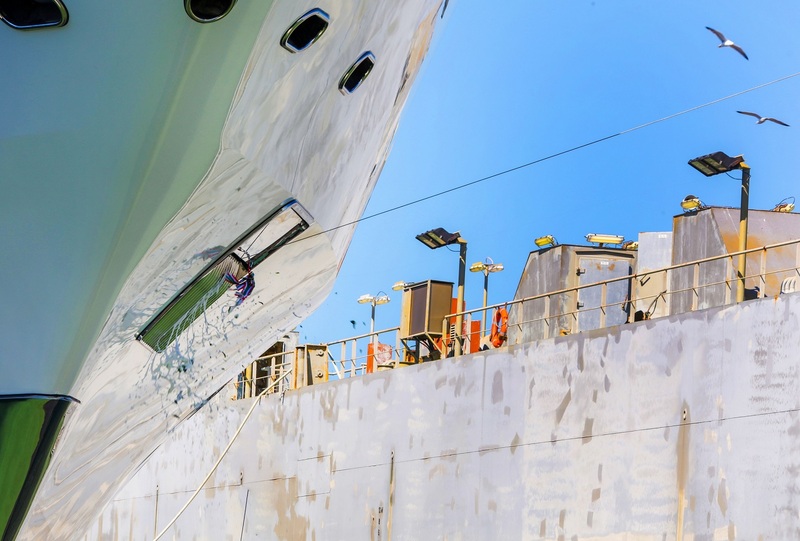 On March 28, 2019 the Livorno-based Italian shipyard Benetti launched its third superyacht over 100 metres in just 100 days, the 108-metre hull number FB275. Rumoured to have been commissioned by an owner from Australia, the yacht has exteriors by the British firm RWD and interiors by Benetti’s in house design team. The yacht is so large that the Champagne bottle used to christen it looked like a miniature airplane nip as it slid down the wire to successfully smash against the yacht’s side. FB275, a steel hull with an aluminium superstructure, has a beam of 14.5 metres and 4.4-metre draft for displacement of 3,600 tonnes. Created for autonomous long-distance cruising, FB275 has fuel capacity of 345,000 litres for a range of 6,500 nautical miles at 14 knots. Security is tight to the point of secrecy, but FB275 has over 1,000 square metres of exterior spaces spread across five decks. Starting from the top of the yacht, guests can enjoy spectacular views and a circular seating plan on the observation deck. The bridge deck has L-shaped seating arrangements around a 1.5-metre fire pit while the owner’s deck has private dining and lounging areas. Exterior spaces on the main deck include several options for dining and a large heated pool. Two 14-metre tenders can be stowed on the foredeck and there is lower deck garage space for a 10-metre custom tender along with eight jet skis. FB275 also features a 1,500L fuel station for on board toys, five launching cranes and two hydraulic scissor lifts for tenders up to 15 tonnes. The yacht’s main propulsion comes from two 2880 kW MTU diesel engines for a maximum speed of 18.5 knots and there are four 465 kW CAT C18 gen sets. A 500 kW Schottel SPJ pump jet azimuthing thruster makes the yacht manoeuvrable and can be used to navigate for short distances under electric propulsion, a real plus in environmentally delicate areas. FB275 is also equipped with two 200 kW Rolls-Royce Marine variable-pitch bow thrusters integrated with the stern thruster by a DP interface. Four Naiad Dynamics stabilisers assure smooth sailing in any conditions. One can only hope that the secrecy that currently shrouds this yacht will soon be lifted so that her “airy open space interiors with lots of natural light” can be viewed in person. For the time being rumours will have to do.